The tests are documented in a test report which provides proof of professional execution. 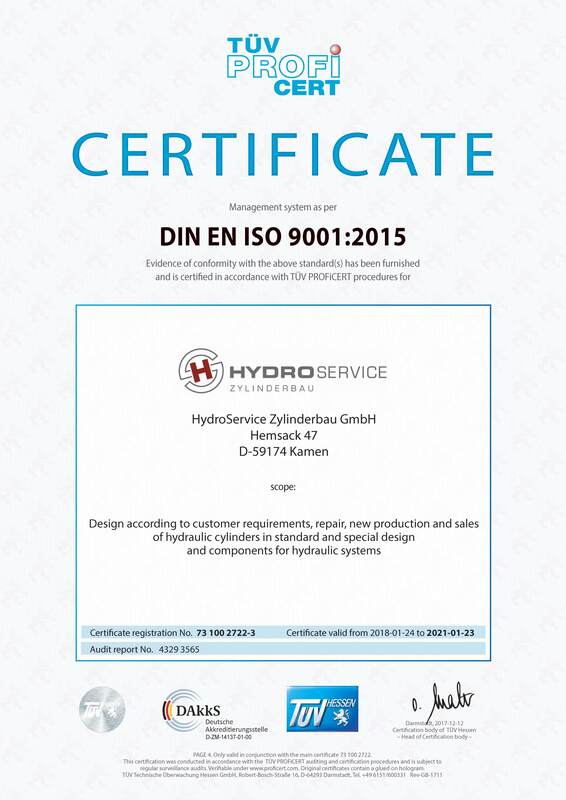 Certified in accordance with DIN EN ISO 9001 : 2000 by Germanischer Lloyd. 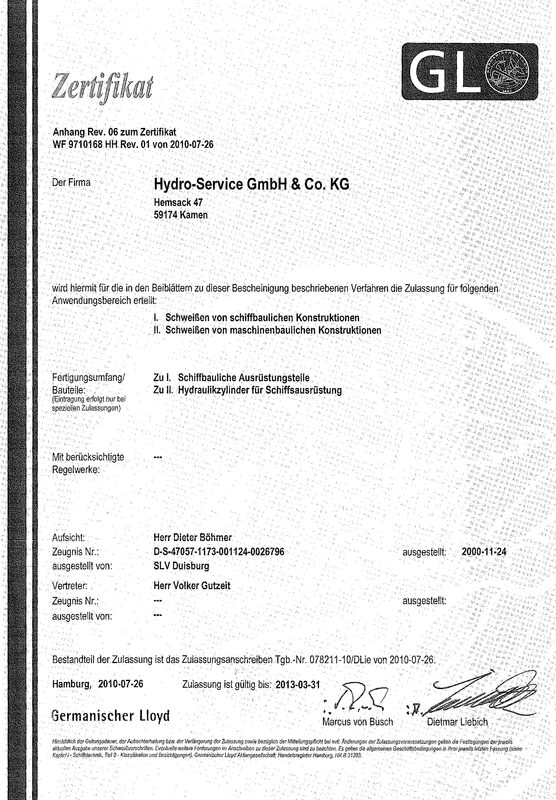 Welding operation certified by Germanischer Lloyd.